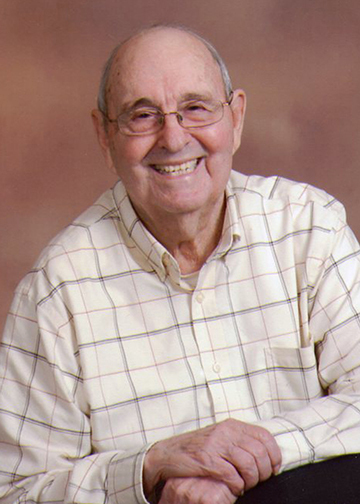 Russell "Buster" A. Merrell, Jr.
Russell “Buster” A. Merrell, Jr., 90, of Nederland, Texas, passed away on Wednesday, March 27, 2019, surrounded by his family. Russell was born September 17, 1928, to the late Delphine Pelloat Merrell and Russell A. Merrell, Sr.
Russell worked for 35 years at Neches Butane Plant. While retired, Russell enjoyed gardening, spending time with family, and watching his beloved Dallas Cowboys. Those left to cherish Russell’s memory are sons, David Merrell and his wife, Sherrie, of Nederland and Kenneth Merrell and his wife, Jennifer, of Vidor; daughters, Glenda Munson and her husband, William, of Boerne and Mary Hensley and her husband, Bo, of Wichita, Kansas; grandchildren, Reneé Bullion and her husband, Bryan, of Nederland; Meredith Vance and her husband, Lloyd, of Katy; Holli Merrell, of Vidor; Luke Merrell, of Vidor; Spanky Hensley and his wife, Shauna, of Amarillo; and Justin Hensley and his wife, Amber, of Amarillo; great-grandchildren, Blake Vance, of Katy; Zackary Bullion, of Nederland; Rylie Whiteeagle; Camden Hensley; and Caden Hensley, all of Amarillo. Russell is preceded in death by his wife, Lila Faye Wagnon Merrell; and son, Russell “Rusty” A. Merrell, III. A gathering of Mr. Merrell’s family and friends will be from 5:00 p.m. until 8:00 p.m., Sunday, March 31, 2019, at Broussard’s, 505 North 12th Street, Nederland. His funeral service will be 10:00 a.m., Monday, April 1, 2019, at Broussard's, followed by his interment at Greenlawn Memorial Park, Groves. Memorial contributions may be made to River City Hospice, 1001 South Main, Suite 5, Boerne, Texas 78006. Condolences to the whole Merrill family especially William and Glenda Munson. Prayers sent. Sending our deepest sympathy to the family..Bro. Russell was a good friend, a kind man, strong in his Christian beliefs..We will always treasure our friendship with him..May our Lord comfort you with His loving strength & peace..Until we meet again..
Holli and family so sorry for the loss of your loved one. Yall are in my thoughts and prayers.